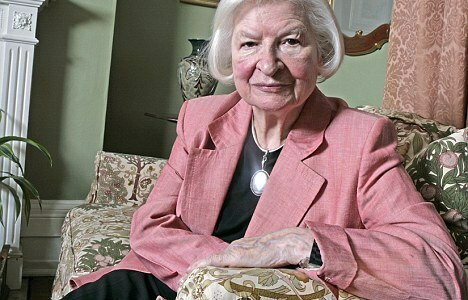 The literary world lost a crime fiction legend with the passing of PD James on November 27. With a career that spanned more than a half a century and included 18 novels, James was one of Britain’s most successful crime novelists. She also broke ground in crime fiction with two different crime fiction detectives – the beloved Alexander Dalgliesh and the plucky Cordelia Gray – and will be dearly missed by her many fans around the globe. PD James introduced crime fiction fans to Alexander Dalgliesh in 1962 in her debut novel Cover Her Face. In a time when the gentleman detective ruled the day, she bucked tradition to create a “real world” cop that was a smart and he was sensitive. Scotland Yard detective Alexander Dalgliesh appeared in 14 novels that not only followed his career, but also followed the history or Britain itself. With the Dalgliesh mystery series, James lifted the crime novel to a more intelligent level by giving her both emotional and intellectual intelligence – along with complicated mysteries and motives that gave crime fiction a new psychological aspect that had previously been lacking. In addition to writing the Dalgliesh mystery series, James also helped paved the way for modern day female detectives when she introduced Cordelia Gray in 1972 in An Unsuitable Job for a Woman. Years before Kinsey Millhone or VI Warshawski ever cracked a case, Gray became an unlikely detective after inheriting her detective agency. While she started out as an uncertain and inexperienced girl, Gray found her own footing with every step she took tracking down criminals. James came to be known as the “Queen of Crime” and received numerous awards over the course of her career. Most notably, the Crime Writers’ Association’s bestowed her with the Diamond Dagger award for lifetime achievement in 1987, and the National Arts Club awarded her with the Medal of Honour for Literature in 2005. Additionally, she received the Grand Master Award from the Mystery Writers of America and was inducted into the International Crime Writing Hall of Fame. In addition to being an award-winning mystery writer, PD James also held a position as Baroness James of Holland Park in 1991. She passed away last week at her home in Oxford at the age of 94 and will be fondly remembered by fans and the crime fiction community for her exceptional contributions to the genre.